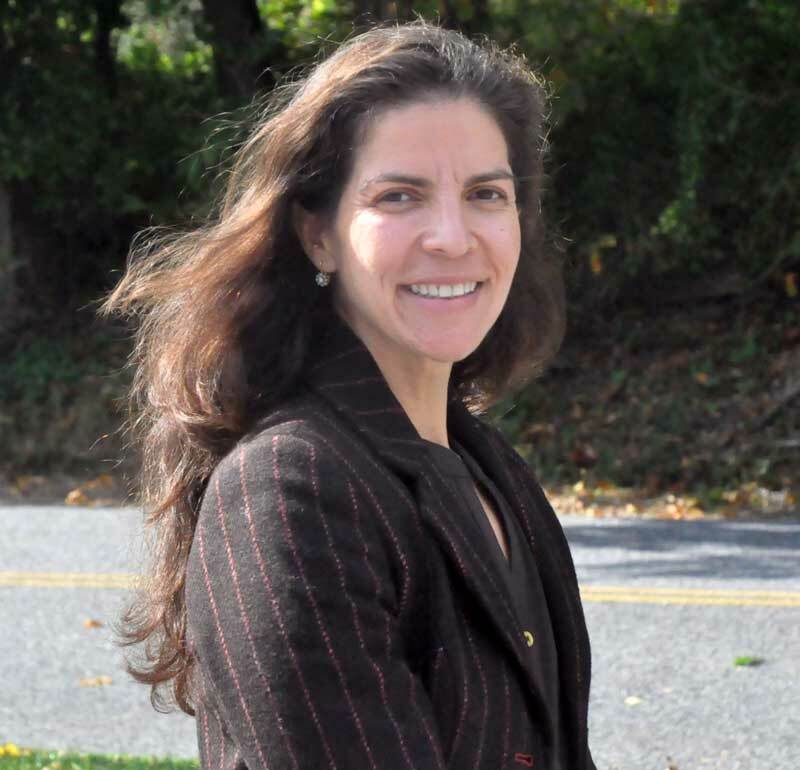 Leticia Flores DeWilde, candidate for Unionville-Chadds Ford Board of Education, Region C.
After just a few months of serving on the Unionville-Chadds Ford Board of Education, Leticia Flores DeWilde has discovered that it is a much more complicated job that it might appear from the outside. In the lone contested UCFSD Board of Education race, Flores DeWilde is running against Carolyn Daniels from Chadds Ford. Elsewhere, in Region A, incumbents Keith Knauss and Jeff Hellrung, both of East Marlborough, are running unopposed, and in Region B, newcomers Michael Rock of Newlin and Steve Simonson of Pocopson are running unopposed. Trained as an attorney, and the mother of two sons who attend Hillendale Elementary, Flores DeWilde said she had some inkling of the dimensions of the job when she sought to be appointed to complete Frank Murphy’s term on the board this past summer, but, she said, it’s turned out to be an even better experience than she expected and more wide-ranging. “I expected it to be challenging but it has turned out to be more rewarding in the sense that there’s a number of different kinds of issues that we cover, so that’s been really nice,” she said. She cited as an example, the discussions at the Oct. 21 board meeting about a pilot program to use a staffing agency to hire some support staff for the district, and how during that discussion it became apparent not all of the details of the program had been as thoroughly, or publicly, discussed as could be. The board failed to get the five votes needed to approve the program, although it is expected to be further deliberated — and likely put to a vote again — in November. “I think we need to have more input from the community, from the residents, on this,” she said. While she’s been fascinated by some of the less-headline grabbing issues, she acknowledges that money — and specifically how the school district copes with the increasing costs of the Public Schools Employment Retirement System (PSERS) will drive much of the decision making process in the coming years. After 2001 changes to state law allowed both the state and local school districts to cut back on their contributions to the pension fund, the economic downturn that started in 2007 left the fund underfunded, leading to a spike — roughly an increase of 1.5% of total salary (the state covers half of pension costs) yearly, on top of salary hikes as specified in labor contracts. At the same time, the district has actually seen revenue from real estate taxes decline, as property valuations (in part because of the weakened market, in part because of tax assessment appeals), and transfer and interim taxes all have seen declines in recent years. Although tax revenue appears to have stabilized — and may even be poised for modest gains in the coming years — it appears the district’s costs are likely to increase at a greater rate, in part because of the PSERS issue. She said her hope is to look for efficiencies and other options before making cuts to staff and programs, that should be the last option, in her opinion, although she knows not everyone on the board will have the same thought process. Flores DeWilde said she thinks her biography gives her some different perspective on some of the issues in the district, a good thing in terms of having a diverse set of experiences and opinions on the board. She proudly notes that she comes comes from a family of nine, all of whom immigrated from Mexico. Her father worked nights as a machinist in a factory and her mother did garment work out of their garage. She said she learned early on to work hard and do well in school. Before deciding to stay home with her children, she made a living as an attorney and a policy analyst. Flores DeWilde worked as a Staff Attorney in the Office of the General Counsel for the Medicare and Medicaid Programs. She has also worked for the American Cancer Society in its Government Relations Department in Washington, DC as a Senior Policy Analyst focusing on Medicare and private health insurance issues. She is a graduate of Brown University and the University of Pennsylvania Law School. She invites those interested in more information about her to visit her Website: www.leticia4schoolboard.com. I am astounded at the number of inconsistent positions that Ms. Flores DeWilde appears to take in this article. It could be a function of how the quotes were made and not a reflection on her real positions, but we cannot know for sure. First, she says that there were a lot more issues than she had been exposed to as a resident and then says that they need to have more resident input. This is a classic chicken/egg scenario with the lack of transparency and the filtered information given to the Board. Residents are then supposed to give input on matters when they are soundly ignored (unless they are one of the 50 or so rich, cool parents who are involved in sports, PTO or Education Foundation)! It seems that Flores DeWilde is actually acknowledging the lack of open communication which is what Dr. Manzone was so upset about. She says it was interesting because there were so many issues that the Board covers, but instead of talking about them, she goes into the standard mantra from Keith Knauss and Jeff Hellrung on the budget and PSERS. So, with so many cutbacks due to these all important budgetary issues, one wonders how a District can tolerate deals/agreements/things that allow tens of thousands of dollars to be stolen from the taxpayers by one family. My guess is that if one family is doing it, there are others. In Flores DeWilde’s defense, I now understand why she may not have supported Dr. Manzone. The article says she has two children in Hillendale. If she broke ranks with the Board or Superintendent, she would always have to fear retaliation from the District. She has a long time left to get two kids in elementary school through the District. Nobody wants to take a chance when it comes to their kids. I’m glad you were appointed to the board a few months ago. Do you care to comment on the current residency issue in our schools. Are there issues of collusion, transparency, decisions made by a few. In your opinion from the short time you have been on the board, do you think the board rubber stamps what administrators bring to the table? Do you think there should be an independent investigation? Thank you for your comment. I made a public statement regarding Dr. Manzone’s resignation at Monday night’s Special Public Meeting. My complete statement can be found on my website at Leticia4schoolboard.com: http://leticia4schoolboard.com/issues/ . Out of respect to Dr. Manzone, my fellow School Board members, and the Administration, I do not intend to make any further comments at this time. With that link, she doesn’t need to say anything. Her statement on Monday night says it all. Dr. Manzone’s resignation is concerning to me. ….do what we can to ensure that our community is well informed and that information is readily available , so that our community can feel comfortable coming forward and voicing their concerns. I believe it is our responsibility to regain our community’s trust so that we can govern more effectively. Thank-you. You will make a fine school board director for our community! Just tell the UCFSD residents how to “beat the system”!! Good for 1… Good for ALL!